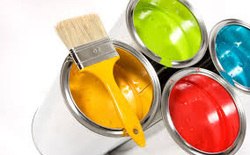 Great Plains Painting is a painting contractor service based in South Minneapolis. With over a decade of experience, the team of Great Plains Painting services the entire Metro and surrounding areas. We focus on quality and reliable professional service with emphasis on doing the job right! We perform interior and exterior residential painting as well as commercial work. Call Today for a Free Estimate!